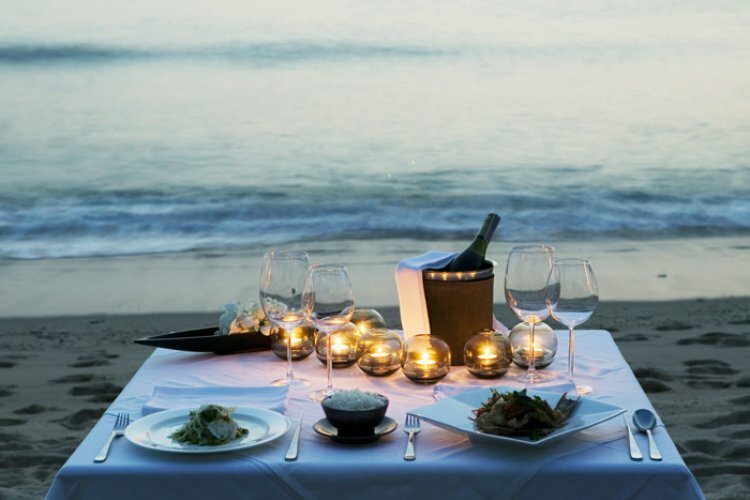 Trisara Hotel Phuket is both small and luxurious and situated on the north west coast of Phuket. You will find it nestling within beautiful tropical rainforests that are set back from the seafront. This means you can enjoy both landscape and sealife in equal measure. At the Trisara you can enjoy a private bay for residents. Here you can unwind with complete peace and quiet. 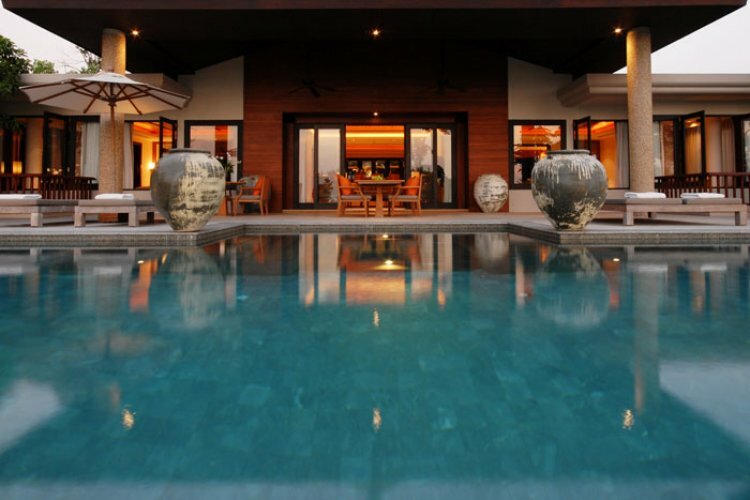 The resort has around 30 pool villas and suites which are made to a fabulous standard. They also come with the added bonus of beautiful views overlooking the azure waters of the Andaman Sea. "Very hot little bit of rain but nice when it rains"
"Very good weather during our stay nice and sunny all the time !" "Very hot! Sunny everyday. Not a drop of rain in sight." "We had a couple of nights with heavy rain but during the day it was hot!" "Sunny with the odd rain shower, always warm." "good odd shower at night but sunny in day"
"Hot, some days sunny, some overcast"
"Excellent weather and Karon was beautiful." "The weather was constantly between 80 -85 degrees"
"A little damp to start with but then sunny, dry around mid 30'si"
"Hot - about 33degrees but everyday there was a tropical thunderstorm which normally occurred in the evening (7ish) and lasted about 90mins. But providing you were undercover, it was a lovely sight and it certainly didn't spoil the holiday"
"21 beautiful hot and sunny days"
"Very nice - 35+ every day." "Hot and humid during our visit in April and had a little bit of rain on two days." "excellent 35 degrees no rain"
"60 40 sun & rain but warm"
"very hot 35- 40 most days"
"Hot, very sunny. Sometimes a bit of rain"
"Humid and close in bangkok, but lovely in Phuket, occasional thunder storm but par for course in this area and time of year. Mostly hot and nice..."
"Hot sunny with a few bursts of rain"
"Some rain in the evenings but during the day near perfect." "Mixed, twice travelled in April before and weather perfect this time more cloudy and rain. Still a lot warmer than Weymouth!" "Extremely hot, it rained one morning for about 2 HOURS AND IT WAS WELCOMED." "The weather was very warm but not uncomfortably so - just perfect! There were some heavy rainstorms but mostly they were evening time so do not interfere with daytime activities. There was one day out of 13 when it rained all afternoon and about 2 other days with short afternoon storms. It was still warm and humid though during the storms." "Hot, with some torrential outbreaks of rain and storms, but that made it even more enjoyable." "20 mins of rain, on 2 nights - mid 30s and glorious sunshine"
"Hot and we had a few sunny days but generally overcast and humid"
"End of season, started very hot and humid and then clouded over for a couple of hours a day. Not a problem, still tanned through the clouds and it was still hot.There was a little rain, normally for a few minutes at night"
"the weather was great, we did have a couple of down pours which cleared up quickly nevertheless this did not spoil a fabulous holiday. Cape panwa was excellent, first class in phuket." "Very hot, occasional rain, but only short showers." "weather very nice, very humid, was ariund 34 degrees each day, one day it was raining and weather wasnt great,"
"was hot, hot and hot, very sticky and humid!" "It was very hot, and sometimes breezy which was a welcome relieve." "Good. Rained a few times but this was expected in June"
"Beggining of the rainy season. Yet only 2 days of rain out of 14." "Theoretically, it was rainny season buthad only twice in Bangkok rain for 15 minutes and rest of my holiday was hot and sunny"
"Mostly rain in mornings and evenings but a few days it rained all day. Very humid, maybe four days of sun." "wall to wall sunshine never saw rain and it was the monsoon season they said it was unusal"
"On the whole the weather was fine, rain on occasion but plenty of sunshine and warm weather." "The weather in Singapore was very nice throughout, there were a couple of days where is was cloudy however, it remained warm. There was one evening where there was a thunderstorm, however this was during the night so we weren't affected. On the whole the weather bahved exactly how we wanted it to!" "It was beautiful all day with rain while we were sleeping! This meant it was fresh when we woke up and then beautiful all day. With the breeze, you need to be careful in the sun as you don't realise how hot it is. I came back a really healthy colour!!!" "Warm and sunny but we went in July which is rainy season so sometimes it rained at night mostly." "half and half to be honest, rainy and windy some days, sunny other days." "The weather was hot was in its 30c + everyday and this was off season so was very nice would defo go again." "Have one rainy day, but apart from that, just the odd shower with plenty of sunshine. The rain wasn't a problem. Swimming in the rain is lovely!" "Hot with occassional showers, but they didn't usually last long-it was monsoon season." "very good with little rain . A two day period where the indonesian forest fires created smog." "On the whole very good , but a few Rainey days"
"very good hot but comfortable"
"Humid with sun and some showers"
"First 2 weeks in October wet first week (monsoon season) good fine weather on our second week." "We did have quite a bit of rain, but when the sun came out it was very hot"
"hot and humid - rained once during the day and a couple of times in the evenings"
"Weather was ok, it rained on 5 of the 10 days we were there but this didn't spoil the holiday and it was something we expected for the time of year we booked." "Hot sunny during the day,thunder storms in the evening." "More rain that usual for nov-a few days where it rained all day"
"some rain but hot the rest of the time most of the time"
"Humid and it rained for 6 days solid!" "some rain.Temp around 30 degrees"
"perfect very hot arrived day after monsoon, rained only in the evenings"
"Overcast and a bit rainy in Phuket but we then went to Phi Phi (only 2 hours away) and it was fantastic." "Not so good - still monsoon in December"
"Perfect. Mid 30degrees most days. 10 minutes of rain in 2 weeks!" "beautiful--warm, sunny, occasionally overcast but still very pleasant"
"Good but not as hot as I thought"
"OK - not as good as anticpated - cloudy"
"We had great weather ,sometimes slightly overcast .In the main FAB"
"Perfect..Hot but not too hot for me!Breezy on the beach. Warm balmy evenings"
"The weather was mixed. It was very hot and thundery. We were hoping for a bit more sun but it was fine for us."